Phone tracking concept has proved to be a reform in the mobile technology sector and has empowered masses distinctively. Especially for those who possess a supplementary love for their Smartphones. Smartphones nowadays can be easily tracked with a variety of means and methods that are present today. Smartphones being loaded with the spectacular feature can readily be tracked and located, even without your knowledge. To begin with, mobile tracking came in use by the multi-national companies and businessmen who wanted to track their customers, later on, due to increasing crime rate legal departments all over the world started using the technology in order to maintain law and order. However, the technology shifted from MNC ’s to police to masses. People begin to use tracking technology to guide their ways to home and new places. Slowly people got to know that it can be used in order to track phones as well, this realization increased the use of technology for tracking and spying purposes. This technology apart from spying has helped us with recovering our lost phone too. There have been a number of incidents where people have found their lost phone with the help of tracking system available on Smartphones and internet. 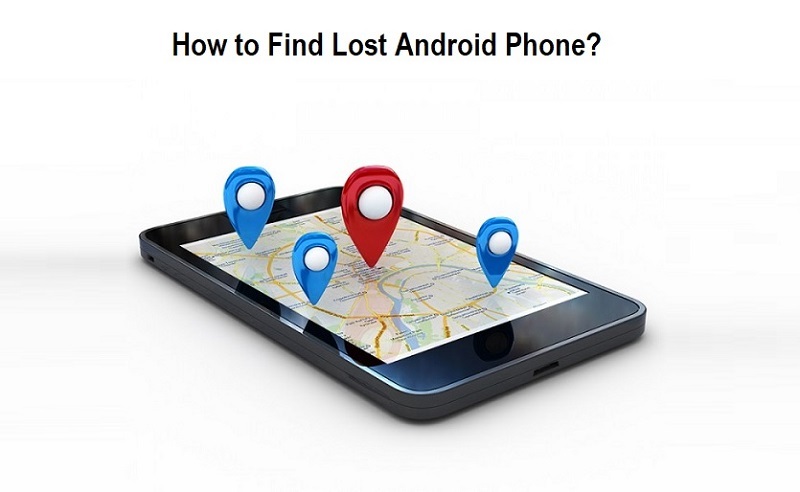 So let us take a look at the ways through which you can track your lost android phone. Why Should One Use Call Tracking System? Call tracking can be used in order to locate the lost cell phone. Lost cell phones can now be easily tracked with the help of call tracking. There are a number of websites that can track your phone number with the exact location. All you have to do is visit one of the websites and enter your phone number in the provided box; the software will then locate your phone within few seconds. Apart from this, there are several applications that can track your lost phone. However, these applications are needed to be installed in the device in order to do the tracking. There are several applications that you can find on play store and iTunes. These applications are very effective in doing the job. In order to understand the ways, we need to first understand what tracking system is and how it works. Phone tracking basically works by capturing the radio and signals from the device, which is done by the mobile towers and is extracted by the service provider company. This is the whole process of tracking phone number. But this process seems out of reach for a layman to perform. So what are the possible ways? A large advantage in case of Android phones is that it offers a variety of applications to perform various sorts of actions. They are free and competent in doing their job. In this case, there are a number of phone tracking applications that do the job of finding your lost phone effectively. They have been specially developed in order to help out the sure from such unfortunate events. So let’s take a look at some of them. This is a great app that does the job of finding your android phone effectively. It has got a good review on play store and requires 4.0.3 and up android version. What the application does is, it gives you the option of creating family groups where you have to select the person on whom you want to keep a track on. It also notifies the user when a certain person leaves or exits the desired location. Overall it is the best available application on play store for tracking purpose and it is free of cost. Another tracking application that helps you track your phone. Just like the previous one, the application requires 4.0.3. and up android versions. It locates the real-time location of the person whom you wish to find. The application has received sound reviews from the users. Hence, download this application now to keep a track on your lost phone. GPS phone tracker is an eligible tracking app that helps the user to find their lost android phone. The application requires 4.0.3. and up android versions. It helps the user to locate their friends, lost phone very effectively. As the name suggests, the app takes help of the GPS services to track the lost phone. It shows real-time location on the map so that you can find your phone easily. The app has received good reviews and is free of cost. This app takes help of GPS tracking to locate your android phone. It requires 4.0.3. and up version to run. The app helps to locate the phone in real-time location; it also keeps a record of the person’s movements. The app also has child mode, where you’ll be able to hear about the people around the child and also allows the user to speak through the phone to their child. It is overall an exceptional application to find your lost phone effectively. For more information, you can refer to play store. Many free mobile phones tracking websites such as; Mobile Number Trackr can do the job of tracking and locating your lost phone efficiently and effectively. This method is the easiest and user-friendly for all age of people, where you just have to insert your number into the search box and the website will automatically locate your number. It is very effective in order to find your lost phone in an urgent matter. The process is quick and results are accurate, which will help the user to find the lost phone competently. Apart from this, you can also contact your service provider in order to help you out with the tracking of your phone, whereas, you can also get in touch with your nearest police station or concerned legal authorities, they shall help you out with their expertise in handling such cases.